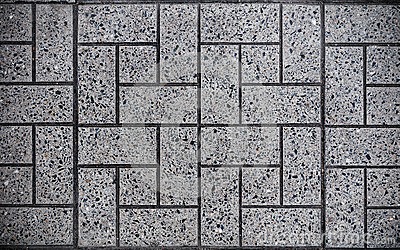 Gray Square Paved with Small Square Corners and Gray Rectangles. Seamless Tileable Texture. Photo processed as a picture, texture is black and white, square. Breakfast : bread,cereal and milk on dark background. Earth and sky vibrant colors of Santo Angelo, RS Brazil.